Deprecated Salesforce Connector v2.0 Infotransfer: best practice is to remove this software from Salesforce first. One item that we learned during our Constant Contact tutorial was when uploading Salesforce contacts to Constant Contact there is a 200 contact limit. Does Cazoomi have contact upload limitations? There is no limit on the number of contacts you can transfer automatically as many of our subscribers sync over 1,000,000 contacts and lead each week from website forms, Salesforce entries, and list building activities. Another item of concern for us was the campaign responses. In order to view the responses in a contact's profile in Salesforce, all users had to have the Constant Contact software installed on their Salesforce. Is this the same in Cazoomi? All Constant Contact email marketing metrics sync to the Native Salesforce Campaign History object which is available for all users of your Salesforce Organization. We have the Enterprise edition of Salesforce and up to 30 Salesforce users. Do all Cazoomi packages (Enterprise, Professional, Basic, Free) work with our Salesforce account? Yes, except Basic which does not have Salesforce CRM included in the plan. Can you tell us what the benefits are of having multiple Sync profiles? We just need a basic sync service - Salesforce to Constant Contact. We don't need Constant Contact to talk to other software we install to Salesforce. Sure, since Salesforce has Accounts, Person Accounts, and Leads or Contacts, then each Profile is needed per each object. If using Person Accounts as Contacts choose the Contact Object Type to Sync. So if you have leads and contacts in SFDC to sync then, you would need 2 Profiles, and Sync Profiles allows the added flexibility & room to grow into SyncApps if you have other data to sync. Today’s topic for discussion is Salesforce Integration and how it works with Marketing Automation. This is an interesting topic that has helped many businesses and organization getting the most out of their respective sales and marketing departments. But to get there, you have to link these two extrmailemely important functions seamlessly. 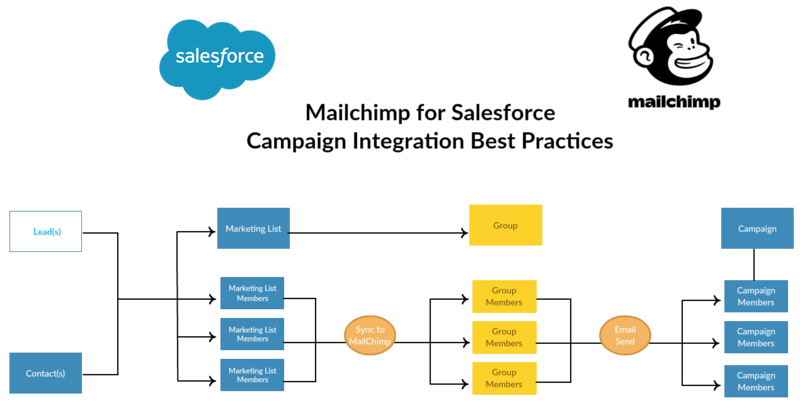 See how Salesforce Integration works below in our Mailchimp example. We’ve put together a clear guide that will help you through the entire set up process. 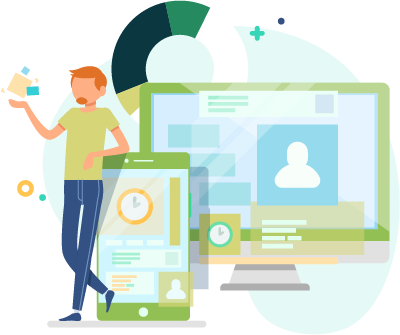 We strongly believe that once everything is up and running, you’ll be in a better position to manage your customer databases and eventually achieve your goals. 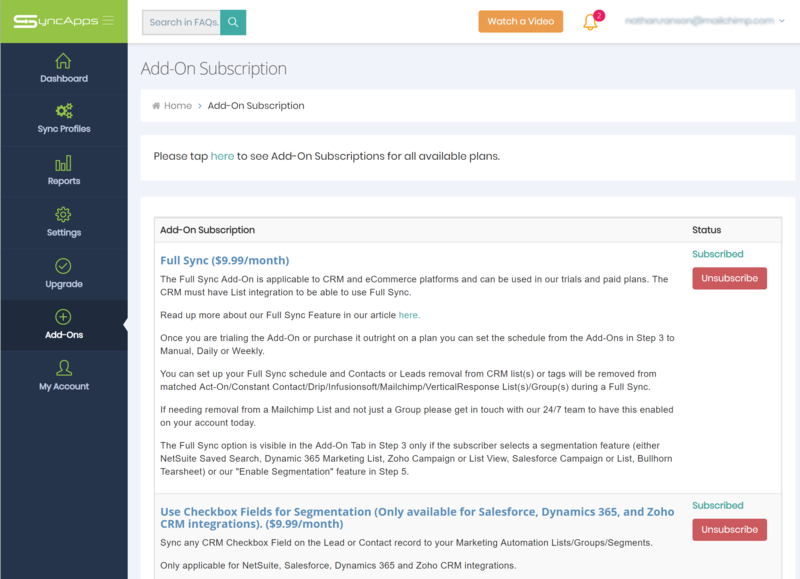 First things first, what are the packages that our Salesforce subscribers can access? We have a single integration for Leads, Contacts or Accounts scheduled every 24 hours. If you require more features and functionalities on your free plan, we have Add-Ons to meet each of your integration requirements. You'll enjoy 6-hour scheduling inclusive of all features for $49.99 per month. You'll enjoy real-time integration with your business plans for $99.99 per month and scheduled phone support. Allows multiple Marketing Automation Accounts to be synced with a single instance of Salesforce and vice versa. The size and types of your business will determine the plan that works best for you. Pricing will also be different depending on your chosen plan. This is the pricing strategy for every plan. Sync your Contacts, Leads, Person Accounts and Campaign Members to Act-On Software, Constant Contact, Delivra, ExactTarget or Salesforce Marketing Cloud, Mailchimp & VerticalResponse. You do not have to stress with the integration process. Reach out to our support team to ease up the process and customize it for you. Here is a quick overview of how one of our Salesforce partners implements the process. Getting started with your 2-week trial! Let's take a look Step-by-Step how to integrate Salesforce. Use case below is for a Constant Contact subscriber and the same process will apply to Mailchimp, Delivra and other marketing automation solutions supported. First, you need to create a Sync Profile, just another term for integration, which can also include Add-Ons, Field Mapping and more. Then enter your Profile Name. The Sync Profile Name is just a description for you to remember the Sync Profile that you created. Next, enter Salesforce credentials. Grab your Salesforce credentials, and if you have questions, please hover over any SyncNotes tooltip to get more information. Next, enter your Salesforce Security Token. To find your Security Token, go to your Salesforce account, then Settings and find “Reset My Security Token” on the left side. Press the “Reset Security Token” button. The security token will be sent to your inbox. Then, copy the token and paste it into the Security Token text box. You can hover over SyncNotes if you are uncertain. Next, select Object Type to Sync. If you’re satisfied with your settings, you can proceed to Step 2. Enter Constant Contact credentials. Connecting to Constant Contact is super simple. Press the button to log in to the account to validate your Sync Profile. Hover over SyncNotes to learn what Main List is all about. To check your Master List, you can go to your Constant Contact account and choose your preferred Master List. You can copy and paste it to the Master List text box. After that, you can select some Add-Ons. The Sync Add-Ons screen allows you to select the Add-Ons you want for each software you select. Field mapping from your chosen software 1 and software 2 allows you to update existing records or new records with ease. Filtering takes CRM records, filters them based on specified criteria and syncs your records into your target application. 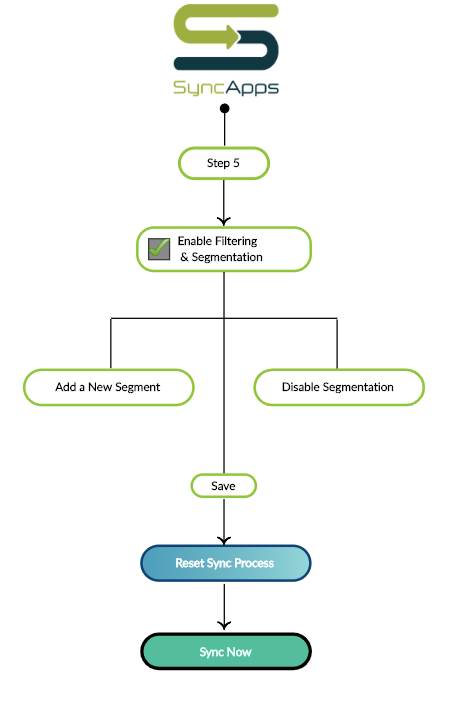 Segmentation sync records from each defined segment into separate lists or groups. Sync Scheduling can be set up on paid plans. Sync on Demand is available on all trials to allow quick testing of your software integration. Press the Sync Now button from the Sync Profile screen to sync your data immediately. Wait until the Sync Process is complete. After that, you can view Sync Summary in Sync Logs. If you get stuck and need help, please feel free to reach out to our support team 24/7. Once you set up your Sync Profile, these are the next steps. 1. 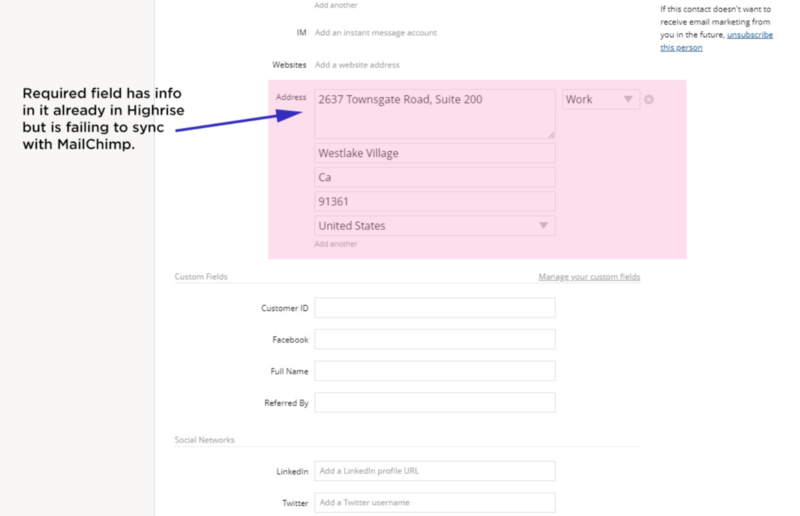 Ensure that you have created 2 Sync Profiles if you are using both Leads and Contacts. Select Accounts as the object type if you are using Salesforce Accounts. 3. 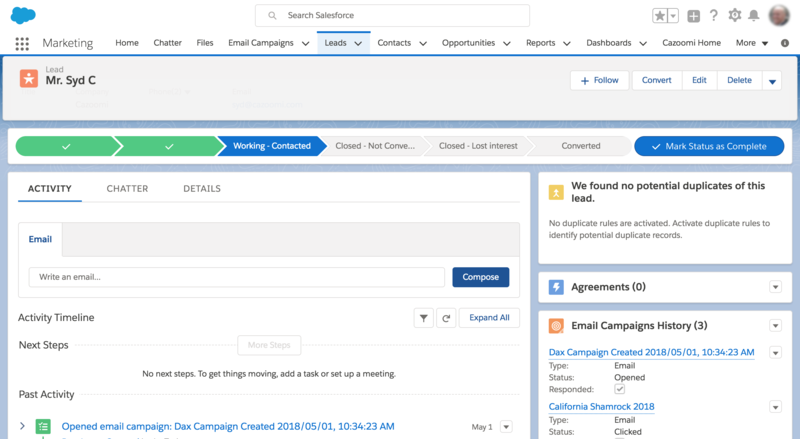 Head to the SyncApps and select your test Salesforce Campaign. 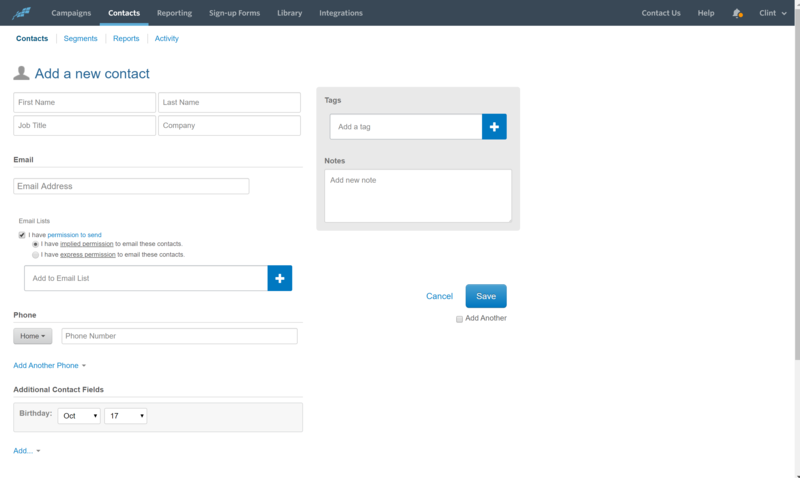 If you chose to use Filters, select the specific records from the precise Salesforce Campaign. Please review this link if you want to add Salesforce Person Accounts. 4. Ensure that the “Email Opt-Out” field is visible on the Salesforce Account, Contact or Lead Page Layout. It facilitates easy testing of unsubscribes from your Marketing Automation Solution or CRM through frequent manual inspection. 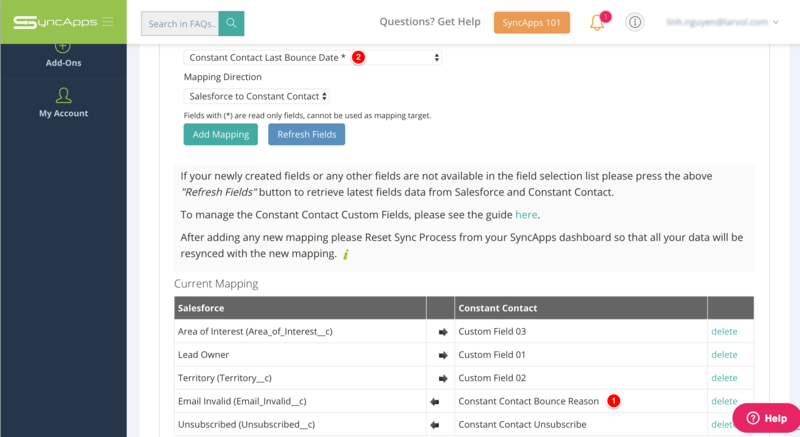 SyncApps uses the default Email field in Salesforce for syncing email records between systems unless using a custom email field. 5. Go back to your Marketing Automation Solution to create and use an empty list to integrate to as the Master List mentioned in Step 2 of your integration process. SyncApps creates the list automatically if you are using Constant Contact, Delivra, and Act-On, among others. For Mailchimp there is an option to create the Main Audience manually then input into Step 2 to make sure it is the list you want to integrate to for testing. This list will be used for the integration of all your Contacts in your Marketing Automation Solution. Press next until you get to the ‘Finish’ option. 6. Press “Sync Now” on your Sync Profile page. 7. 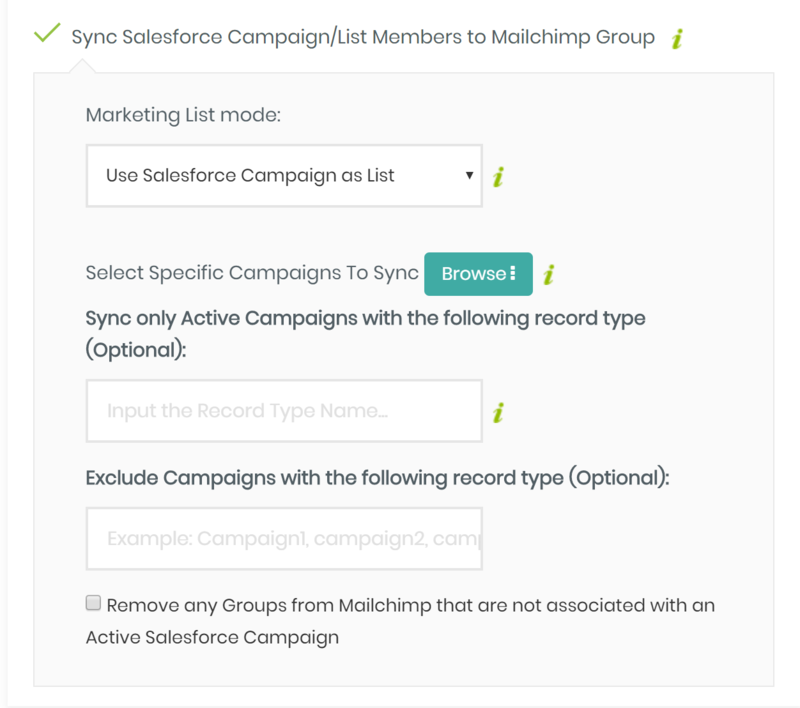 Head back over to check your Marketing Automation Solution Lists for the 1 Salesforce Campaign synced from Salesforce which creates its own List in Constant Contact or Act-On and others or a Group in Mailchimp. The Master List will now contain the records you placed into the Salesforce Test Campaign or those records from the Filter you are testing against the Salesforce Test Campaign. Note: Sync on Demand is available in the Free Trial with Scheduling available on paid plans. Sync is unlimited records, Opt-outs, and Campaign(s) per Free Trial period. Once completed, you can now remove the settings for testing and keep the features you need like Campaigns, Marketing Lists or Filtering. The ability to subscribe to Salesforce SyncApps is available for Salesforce Professional (API Enabled), Enterprise, Performance, Unlimited and Developer editions. Check out the Salesforce Lightning editions supported. Please note that due to restrictions on Salesforce Professional Edition, the ability to look-up Salesforce information and post back from applications requires adding API access to your Professional Edition organization. It will attract an additional cost to the Professional Edition. Sign up for a SyncApps Account and review this help center article in detail. The "HasOptedOutEmail" must be accessible by API and placed on each Salesforce Layout. 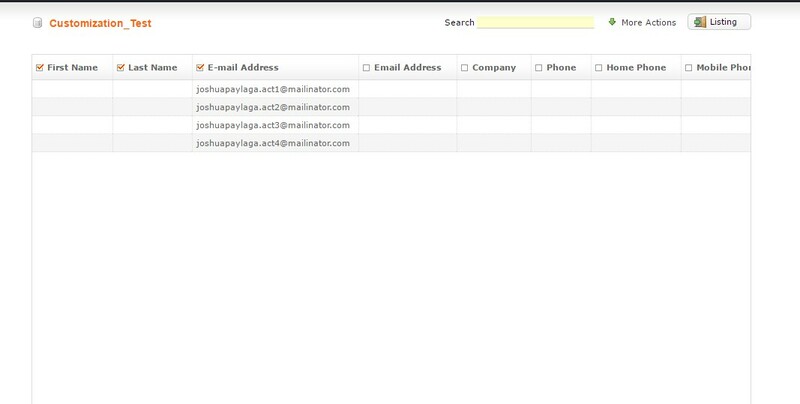 You also need to make sure that the HasOptedOutEmail is visible and editable in both Contact & Lead layouts. 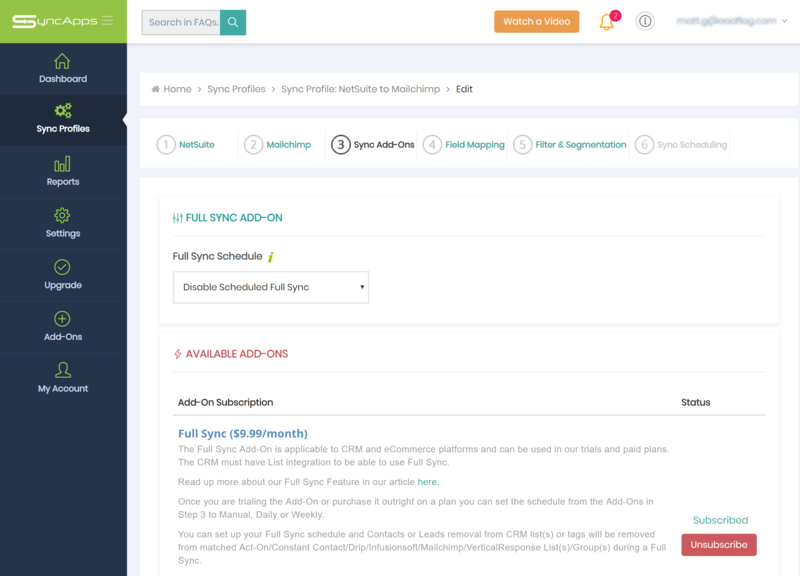 SyncApps does support custom Opt-Out fields if you need this feature so please grab the Add-On for Custom Opt-Out from the Add-Ons tab in a trial or on a paid plan. Individual statistics: synced to the Campaign Member Object. Custom fields for Sends, Opens, Clicks are auto-created by SyncApps. 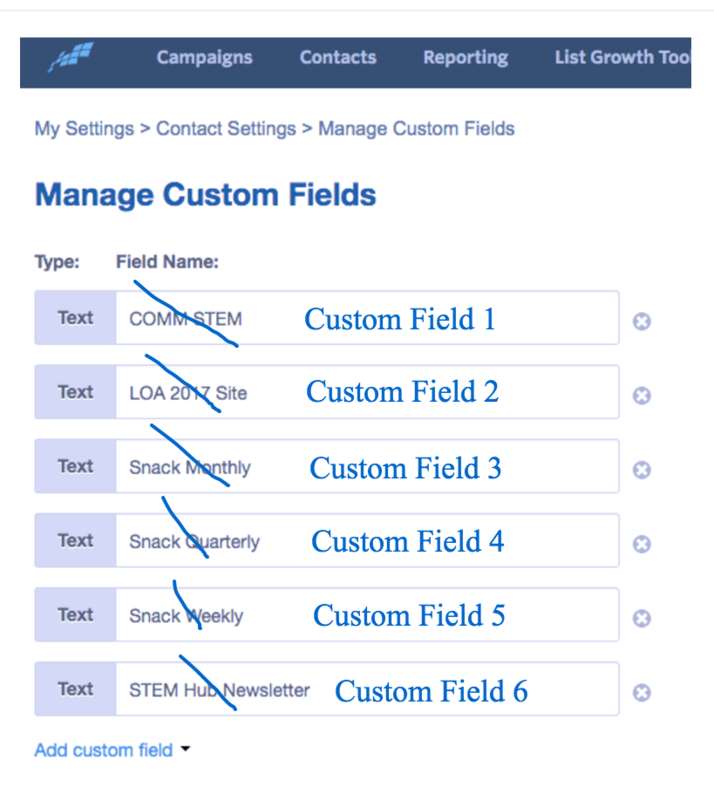 Fields need to be placed on the Campaign Member layout, so they are accessible by the Salesforce API. Summary statistics: synced to Campaign Object. 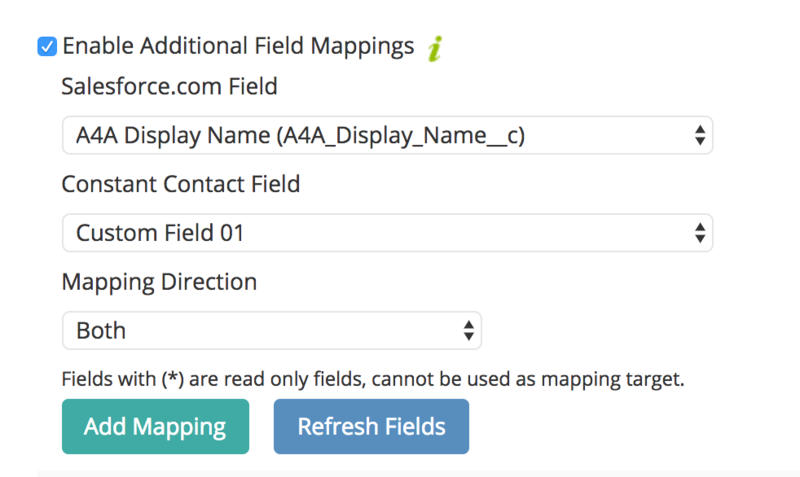 Custom fields for total Sends, total Opens, and others need to be created manually in Salesforce. They also need to be mapped in each Sync Profile. 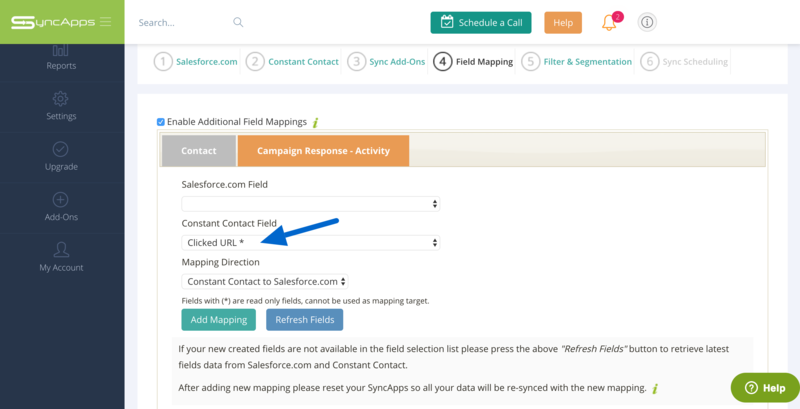 All newly created fields to be mapped in Step 4 of your Sync Profile under the Campaign tab need to be placed into the Salesforce Campaign layout. Please enable Create Salesforce Campaign Only feature for Campaign Response Type. SyncApps does not currently support Marketing Automation in-email surveys due to the API limitations of the Marketing Automation Software. 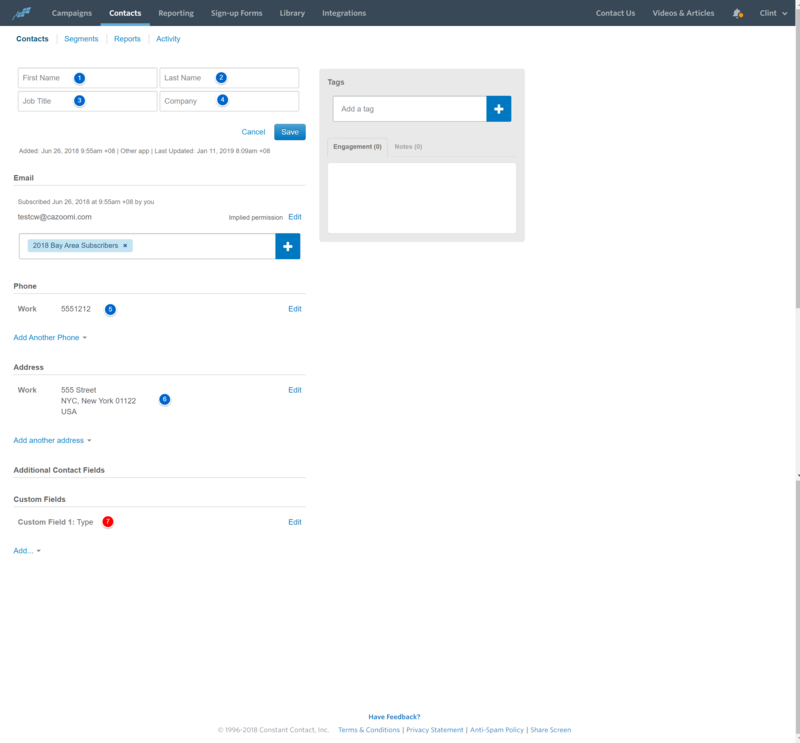 If you select to create an Activity in your SyncApps configuration, you need to make sure that each event such as Opening, Clicking will create a new Activity (Task) in Salesforce. Note: Place Activity CazoomiID under Activity History on our Salesforce Layout and *Clicked URL. Campaign Members custom fields are created when "Sync Campaign Responses" in Step 1 of any Sync Profile is selected, and the "Next" or "Save" buttons are pressed or clicked in a Sync Profile configuration. 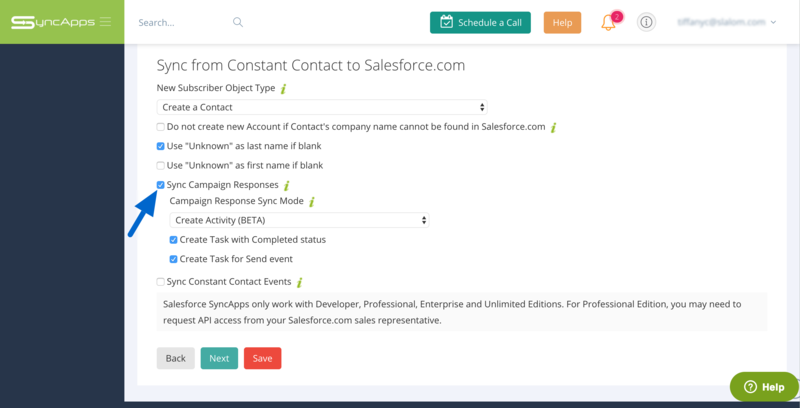 Once you have created a Sync Profile (see above) from your dashboard and are on Step 1 selecting "Sync Campaign Response," check your Salesforce layouts to make sure all the fields created by SyncApps are dragged into the layouts for your Salesforce organization before continuing to Step 2. Sync Campaign Responses feature is required in Step 1 of your Sync Profile setup before fields are automatically created by SyncApps. 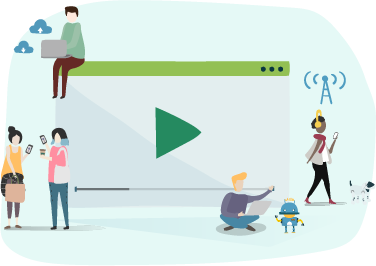 Did we mention that we also support your Marketing Automation Drip Email Campaigns to help your Salesforce metrics and in various ways in order to meet your requirement? Well, we do! Email metrics flow back to Salesforce based on your choice in Step 1 of your Sync Profile Setup. Please also be sure to place the Activity fields created by SyncApps on your Contact or Lead layouts. Using Accounts Object (Person accounts) and need to see Campaign Metrics? 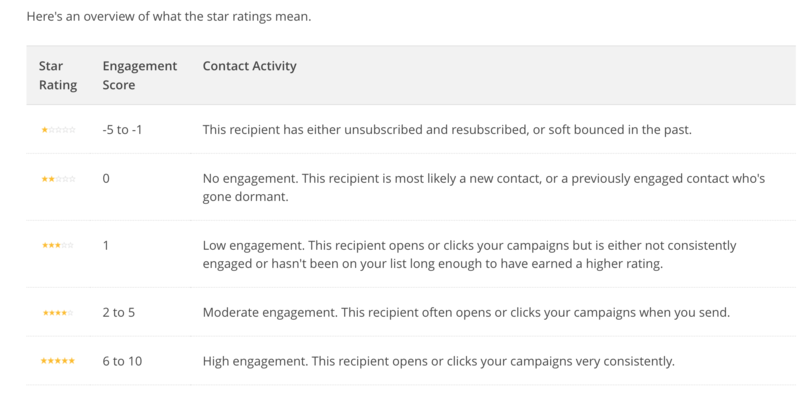 The Campaign metrics fields placed in Campaign History layout (related lists) + Email Events will bring in the "URLs clicked" in the email into Salesforce from your Marketing Automation solution. Campaign Response is synced every 24 hours. If needing Campaign metrics to sync back more frequently then please enable this feature from the Scheduling Tab in your integration. 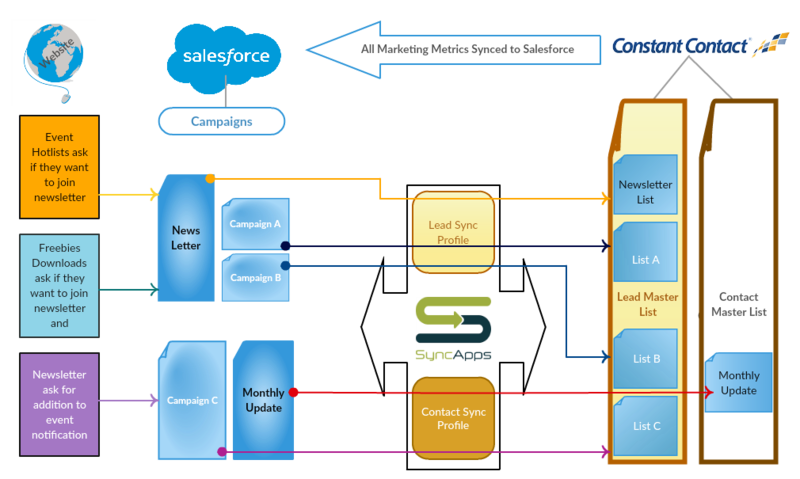 If you need to use Salesforce Campaigns only then the Full Sync Add-On is needed. So essentially if you just want to use Salesforce Campaigns as List in SyncApps and want to automatically remove members, this feature "Full Sync" will manage automatic Contact, and Lead record removal features for Campaign members to Email Marketing Lists and Groups on each Full Sync schedule. This means that anytime a record is added to or removed from a synced Salesforce Campaign, created by SyncApps, it will always be in sync with the Act-On Software, Constant Contact, Delivra, ExactTarget (Salesforce Marketing Cloud), Mailchimp & VerticalResponse Lists/Main Audience/Groups/Categories/Segments. 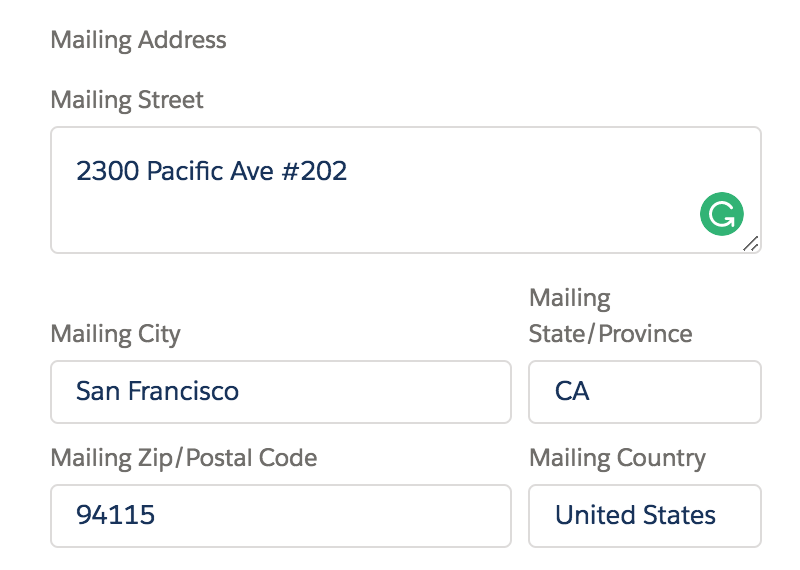 Need to Report on all SyncApps custom fields for Campaign Responses? See how it’s done here! Carefully follow all the above steps, and you’ll be up and running in no time. If you run into challenges, please don’t hesitate to ask us any questions. Just drop us a line & our CRM team will be glad to help you. First things first, congratulations on successfully setting up your Constant Contact integration. Now that everything is up and running, let’s see how you can make the most of your trial. See this 3-minute demo on setting up of the integration. To watch our 30-minute full webinar on full setup and best practices for Constant Contact for Salesforce, please see below. First, ensure that you have created 2 Sync Profiles if you are using both Leads and Contacts. Select Accounts as the Object Type if you are using Salesforce Accounts. 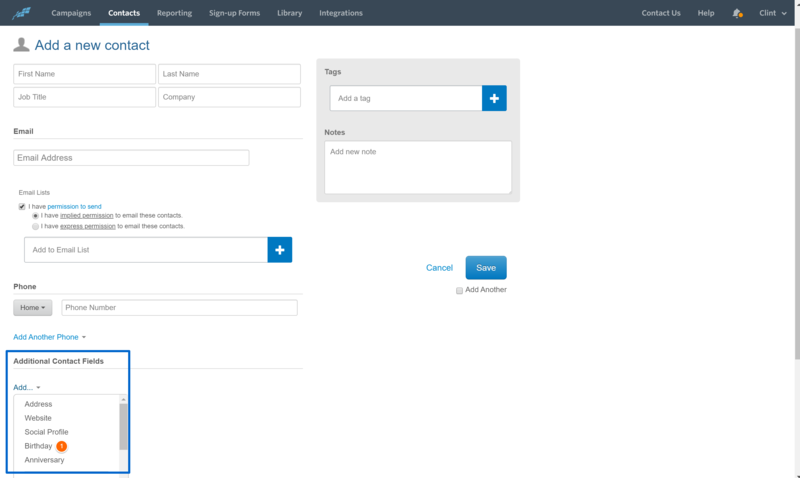 Create one Salesforce Campaign for testing purposes. 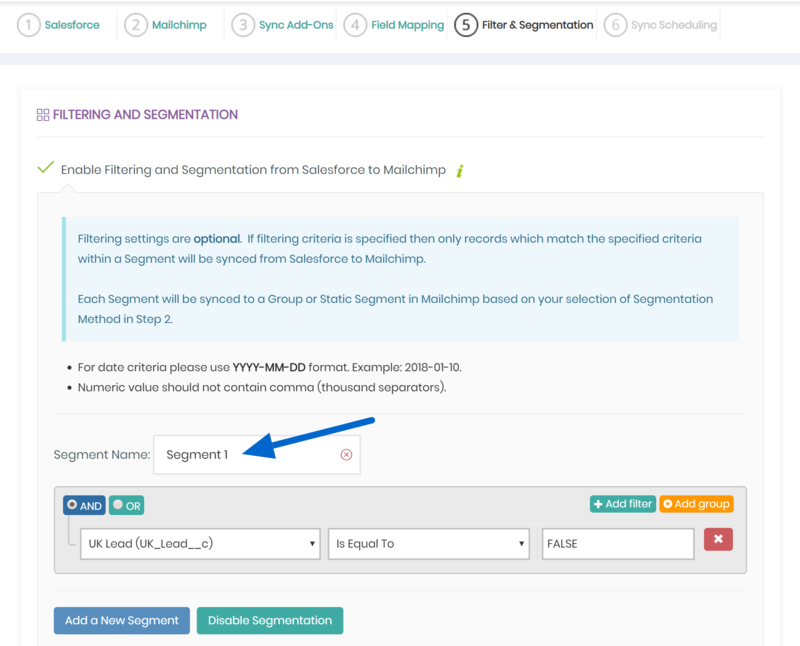 You can use our Filtering and Segmentation feature in tandem with any Salesforce Campaign that does not exceed 100 Contact, Lead or Account records for testing purposes and for successful sync. 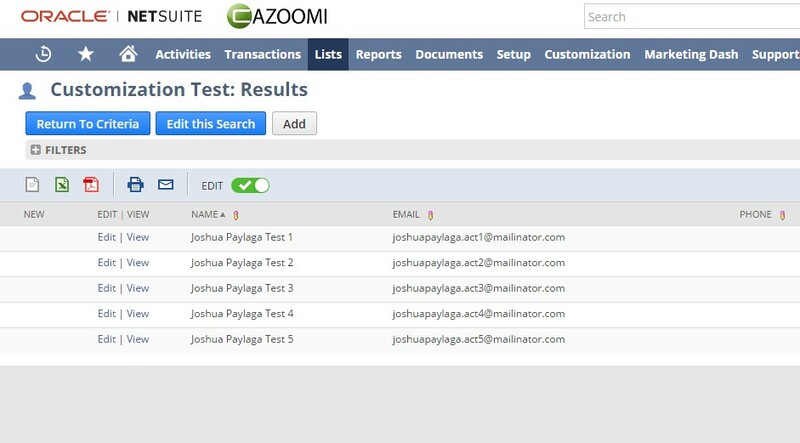 Next, we will use our own test email, cw@cazoomi.com, which is a Salesforce Contact and easy to review for testing purposes in both Salesforce and Constant Contact. 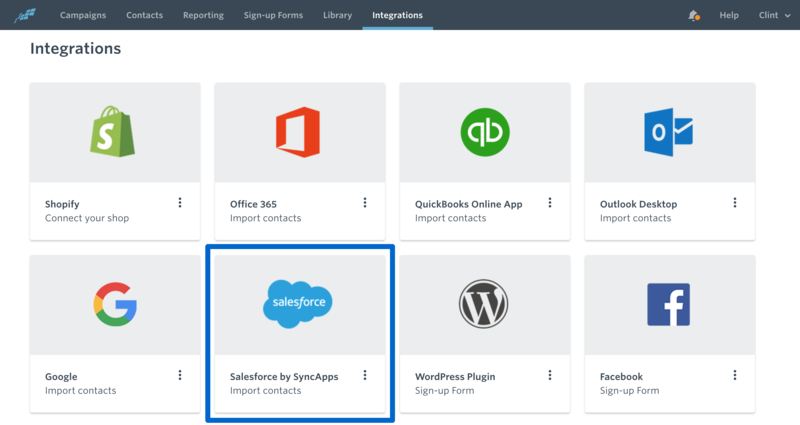 Head to SyncApps and select your test Salesforce Campaign integration in Step 1 of your integration after placing your chosen Contacts, Leads and your email. 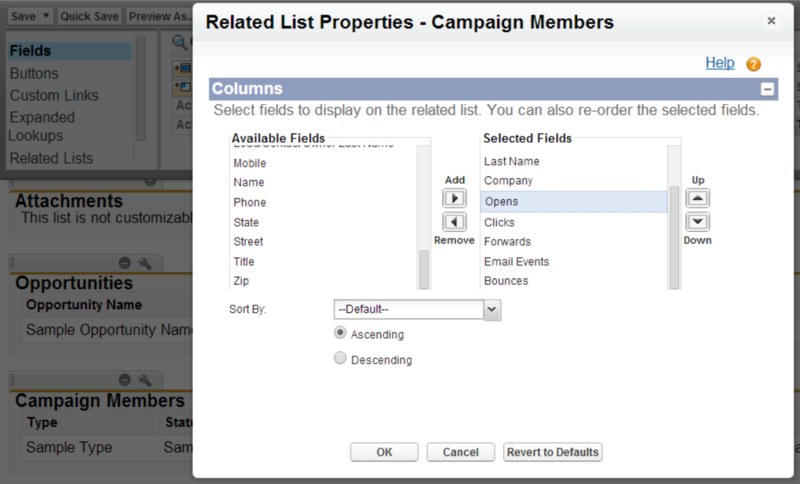 If you chose to use Filters, select the specific records from the precise Salesforce Campaign. Please review this link if you want to add Salesforce Person accounts. Ensure that the “Email Opt-Out” field is visible on the Salesforce Account, Contact or Lead page layout. It facilitates easy testing of unsubscribes from your Constant Contact or CRM. Now, go back to your Constant Contact to create and use an empty List to integrate to as the Master List mentioned in Step 2 of your integration. SyncApps creates the List automatically, or you can do it manually. This list is needed to keep all Contacts in Constant Contact in sync no matter which list they are a part of when using SyncApps integrations. Press next until you get to the ‘Finish’ option. Press "Next" then "Save. Head back to the Sync Profile page and press “Sync Now” on your Sync Profile page. Head back over to check your Constant Contact Lists for the Salesforce Campaign synced from Salesforce which creates its own List in Constant. The Master List will now contain the records you placed into the Salesforce Test Campaign or those records from the Filter you are testing against the Salesforce Test Campaign. 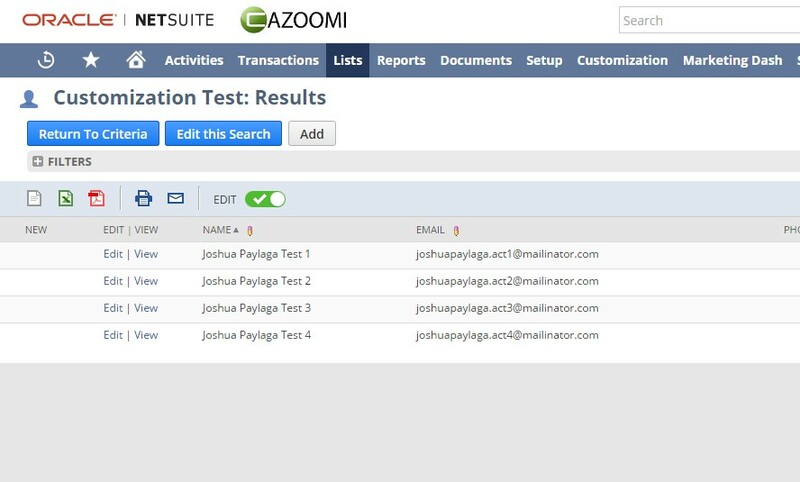 For easy testing, just test your own email which needs to be either a Lead in Salesforce for a Lead Sync Profile or a Contact in Salesforce for a Contact Sync Profile. Proceed to create and send an email campaign to your own email on the List which you have just synced. It provides a platform for testing how the Campaign Responses or marketing metrics flow back from Constant Contact to Salesforce. Now go back to your Sync Profile and tap the Edit button. 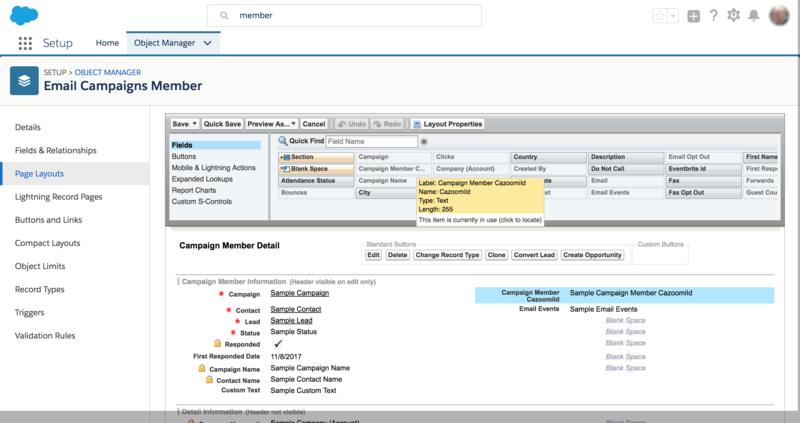 The first Step of integration is selecting Sync Campaign Responses followed by a tap on the “Create Salesforce Campaign” feature. 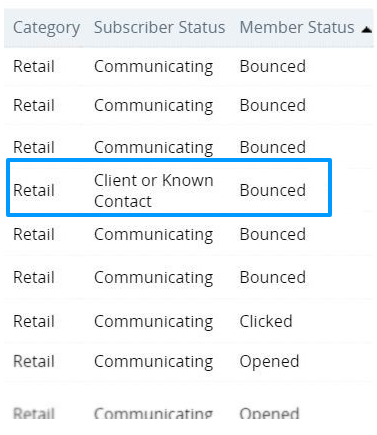 Constant Contact email metric fields are automatically created once you select the “Sync Campaign Responses” feature. It is created and integrated into your Salesforce for marketing metrics such as clicks, bounces, and opens. 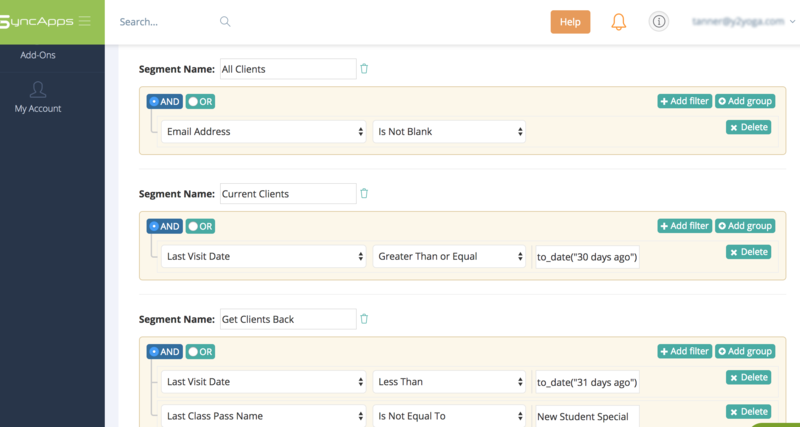 Place each of them on the Salesforce layout for Contacts and Leads. Proceed to the second step and select the Specific Email Campaign to sync feature in Step 1. Choose the Email Campaign sent, and press save. 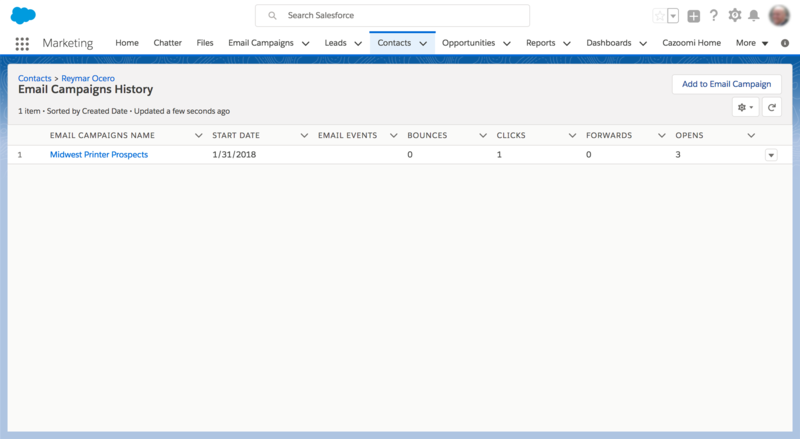 Navigate back to Salesforce to check the Campaign History records to ensure all metrics (Clicks, Clicked URLs, Bounces, Forwards, Email Events and Opens) are included. Double check to ensure that all fields are dragged onto the Campaign Layout previously created. 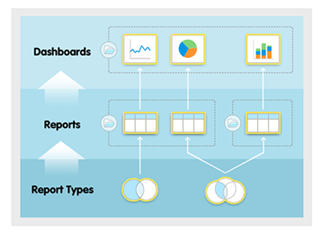 On your Sync Dashboard, choose Reports to review information about each sync run test. Run and share this information with your team to create awareness and boost team efficiency. Feel free to check out our Constant Contact for Salesforce page if you have any questions or get in touch with our 24/7 Support Team today. Yes, you just need to "Reset Sync Process" from the Sync Profile after deleting a list in Constant Contact to recreate it automatically. Can I sync only "one-way" to Salesforce from Mailchimp or Constant Contact? "Add One-Way Sync feature to Salesforce." 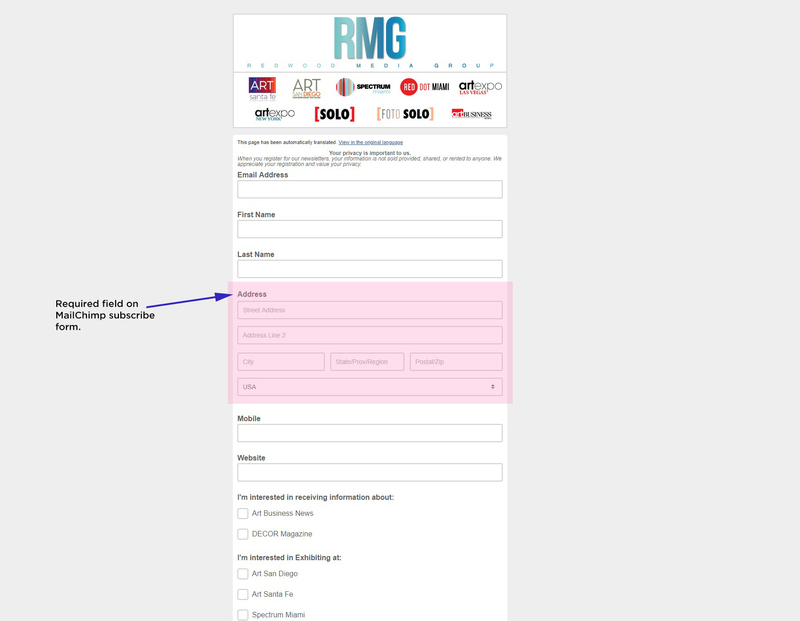 Before today our subscribers used a workaround like selecting a single Campaign or Marketing List with 1 email address in it yet now with one click can sync one-way from Salesforce to their Marketing Automation solution. Have you experienced an issue where you have changed the name of one of your Mailchimp Audience, and SyncApps does not recognize it? Be sure the Audience names match 100% between SyncApps and Mailchimp. See if your Mailchimp Audience name has two spaces. This would cause a scenario in which SyncApps could not find the matched list. Please edit the Mailchimp Audience name to fix double spaces, and you should be able to use the list. Well, first things first. What is Static Segment in Mailchimp? 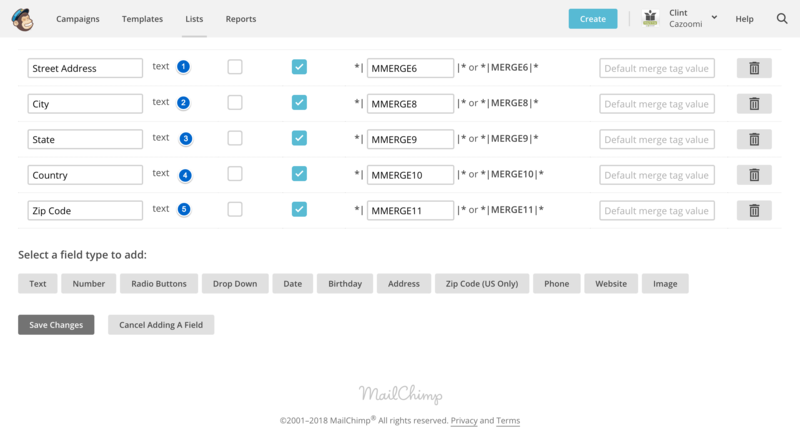 Mailchimp Static Segments is a type of saved segment that includes only the subscribed contacts who shared specific common qualities when created. Today they are called “Tags" in Mailchimp due to Mailchimp Tags replacing Static Segments. Tags work the same way as Static Segments just the name as changed and have more benefits and easy to use. 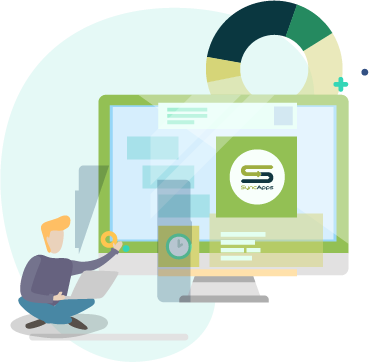 SyncApps rolled out this enhancement this 2018 to help our clients to target their specific customers without manually putting them into segments. Just set it then let SyncApps do the magic! This enhancement is very useful to CRM, Financial, and especially for eCommerce integrations. Once you have selected a specific Audience, tap "Manage Contacts" and "Tag" then "Create Tag." Tap Preview Tag then this will show a segment with specific contacts under that Audience, tap " Save as Tag. Then there you have it! 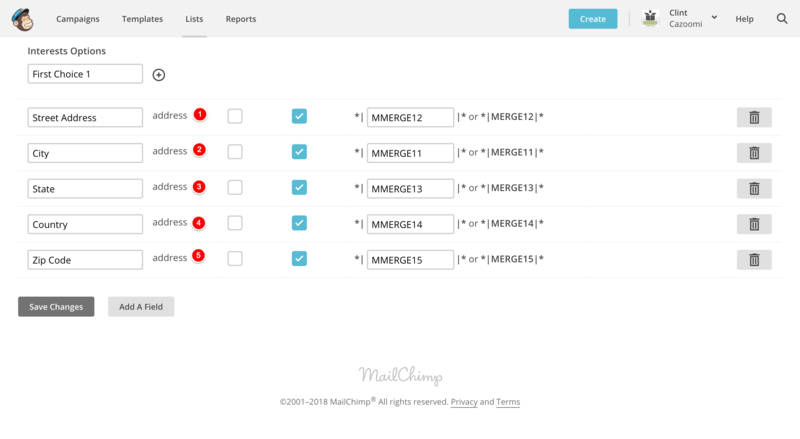 Now let's see how it works automatically to create Mailchimp Tags with SyncApps. It is easy to now automatically create Tag(s) based on your CRM Marketing List(s), Tag, Saved Search(s), Tearsheet(s), Campaign(s), or even eCommerce Product(s) and Variation(s) you have set up in Step 1 of the Sync Profile. What is a Sync Profile? In Step 2 of the Sync Profile, you will need to select "Use Tag" under the Segmentation Method option. Just simply edit your Sync Profile and after editing, don’t forget to hit Save, next Reset Sync Process and then Sync Now. This is so SyncApps can determine changes/customization in your profile before doing the magic. This feature is used by subscribers to overcome Mailchimp's 60 Group limitation per Audience if using many products or categories in your system of record to sync to Mailchimp. If you use SyncApps to clean up your lists, specifically Marketing Lists, you can save a significant amount of time letting the sync process does large amounts of manual data clean up as well right from your CRM. Speaking of cleaning up Marketing lists, a subscriber raised a good question. With SyncApps, she was able to sync her already decreased records from CRM to VerticalResponse. She was expecting that the records synced to VerticalResponse (VR) are the same as the already decreased records from her CRM, but the original total records appeared instead. It was found out that the subscriber enabled the “Full Sync” feature. The feature was enabled to let the subscriber sync her huge CRM database that was split into 3 Sync Profiles. BUT, enabling the feature won’t help in syncing the updated list in your CRM but to only provide you with the original list, for it does not delete contacts. Delete VR Master List (the one specified in sync profile) and all its contacts. Copy Sync Profile to a new profile, so no cached information preserved. There is a copy button in the Sync Profile page. Run the new Sync Profile. Full Sync is not suitable for this use case cleanup process. It can be used after cleanup to make sure the VR list is up-to-date if there is contact removal in CRM list, full sync will sync that removal. If it happens that you hit any snags using our Full Sync feature, don't hesitate to contact us 24/7.